There’s some woeful howling going on at the Lazy Dog Café at the Westfield Valencia Town Center, mourning the loss of beloved bartender Ian Long, who died in his sleep Saturday night. Long had worked at the popular café since its opening a few years ago and was a favorite of many customers. His friends and co-workers talked about his impromptu singing and the uncanny way he knew his customers – even if he never met them before. As they laughed about their friend, it was apparent that his presence will be missed. The 35 year old Long had been preparing for the Hollywood Half marathon and another longer run, a 200-mile relay from Los Angeles to San Diego. At the beginning of the year, he gave up smoking and alcohol and had been “eating more healthy.” His friends are stunned at his sudden death. Silvestri, who described himself as “his roommate, best friend and writing partner” said that Long’s musical talents were legendary. Long was seldom far from his guitar, which the friends described as “his lifeline,” and would frequently improvise a song about clientele or situations surrounding him. “He was so close to finishing his first album, it hurts,” said Silvestri. “He was the most available person whenever you needed somebody, he always had a laugh for you,” said Jamie Currie. 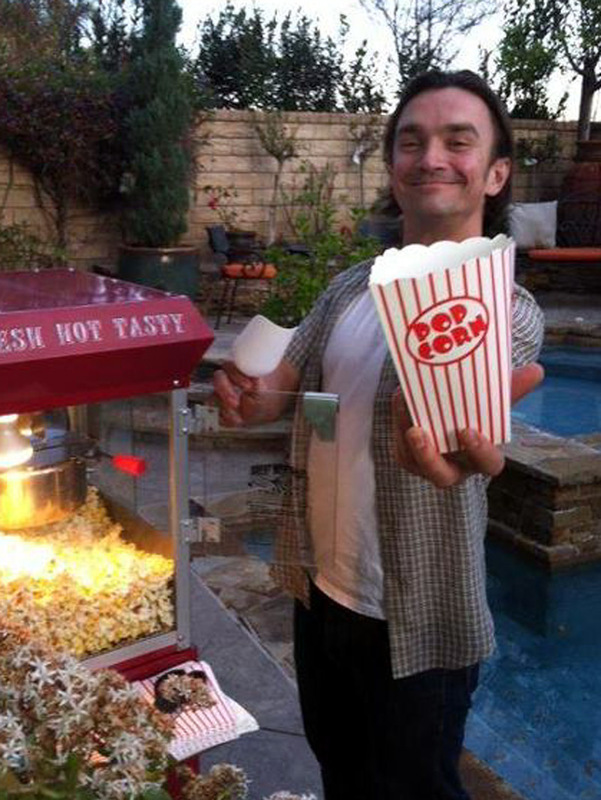 He may have had a guitar and his own gourmet popcorn machine, but he didn’t, despite his employer, own a dog. Of all the colorful expressions used to describe Long, who had Masters Degrees in English and Philosophy from Rutgers University, the recurring theme was “family.” Long would send part of his wages home to help his family in New Jersey, who he left behind when he moved west to follow his musical dream. On Wednesday, April 4, the Lazy Dog is holding a fundraiser to help Long’s family with funeral expenses and support. From opening at 11 a.m. until midnight closing a percentage of all sales will go to the Ian Long fund. Donations will also be collected at the bar. Lazy Dog General Manager Greg Seipel said that he will definitely miss Long’s approach to life. “He was the only person who could flip off his general manager and then have the general manager smile,” a server chimed in. 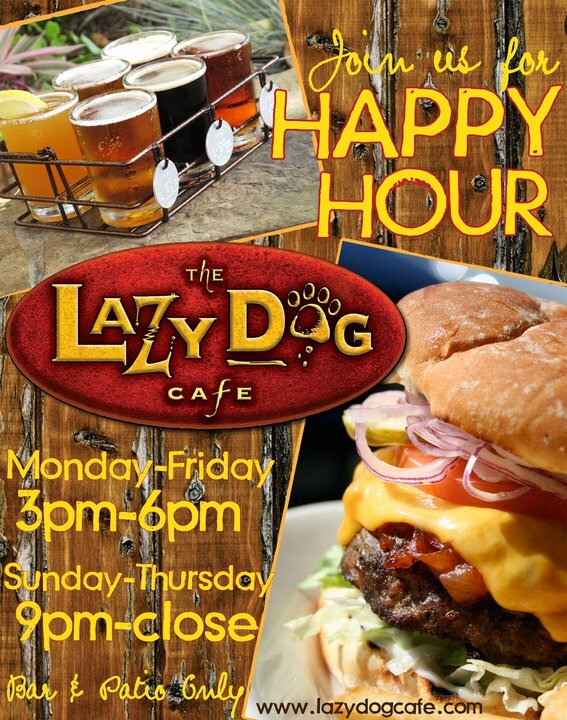 The Lazy Dog Café is located in the Patios area of the Westfield Valencia Town Center.